I know pastors who graduated from seminary in 1974 and never read another book. To no one’s surprise, they are still ministering as if it is 1974 and sitting around wondering why nobody seems to get them, except for those other parishioners stuck there with them. When it is 2074 I do not want to still be pastoring as if it is 2015. To that end, I force myself to keep reading and to read books from a variety of genres and traditions and perspectives. The problem is that I am an energetic, extrovert with about 10 hobbies and a family. Sitting down and forcing myself to read more than a half hour a day is like pulling out my front teeth. If you dare, click on this link to buy the epic tale of a warrior scholar who engages and dispatches over 50 academic foes with 574 pages of sure fire rhetoric! But I made the time and the length of the book was not its only unique aspect. This is also an academic book which means that between the 574 pages of this monstrosity you will not find any guides to preaching the Pentateuch, any helpful hints on how to live out the commands therein or any clever sermon metaphors. The other factor that made this book unique among my usual reading fare is that Sailhamer writes from the Calvinist/Reformed tradition. Most of what I read is from the Wesleyan/Arminianism tradition. This means that Sailhamer quotes or engages well over 100 scholars and almost all of them are from the Evangelical/Calvinist camp. Therefore, by reading Sailhamer’s take on the Pentateuch, I was really being introduced to a deep and centuries old conversation about the meaning of the first five books in our Bibles by a tradition other than my own. 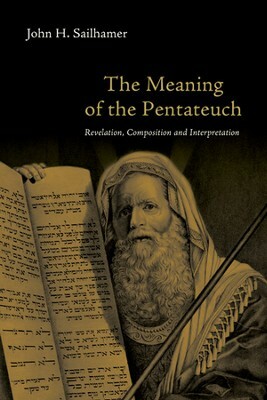 While engaging with those important voices, Sailhamer offers his own unique perspective on the meaning of the Pentateuch. He argues that the meaning of the Pentateuch lies in using the 5 major poems in the book, all of which randomly interrupt the flow of the narrative. Through studying these poems, you can find the central themes of the entire work. In all seriousness, I did find this fascinating because in my studies of Genesis, Exodus and Deuteronomy (I haven’t gotten around to Numbers or Leviticus yet) I had completely ignored and neglected those poems. And this is why, even though I am now far behind on my reading list, the grueling work it took to complete Sailhamer’s work was very valuable. It helped me think through things I haven’t thought through before. It forced me to engage parts of Scripture I had previously glossed over and it helped me understand the conversation the Christians on the other side of evangelicalism are having. Suddenly I realized this was a God moment. I stopped and turned around and ran back to him. “A marathon in October,” I answered and then we began comparing life stories. He was a runner in his 30s, fought in Vietnam, organized troops for the Air Force in the Gulf and retired here. His wife passed away 10 years ago and he has lived alone on the rim of the mountains ever since. In a weak moment I decided to push gently against that. “So why do you think we have the rest of Scripture?” I asked. He stared blankly at me and stuttered before saying, “That is a good question. 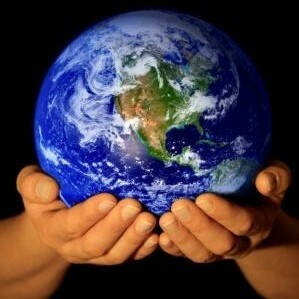 I don’t know why God would bother giving us the rest of it.” I let the matter lie. After all it isn’t polite to lecture total strangers on theology. Yet, his story is becoming more and more usual these days. After choosing not to go to church, he became disconnected from the conversation about Scripture and suddenly found himself concluding %99.9 of it was useless. I know a lot of pastors who are there. By refusing to engage with texts like Sailhamer’s, they become disconnected from the broader conversation about Scripture. Without Sailhamer, I never would have read or studied the five poems of the Pentateuch, or thought to link them together for their common themes. I never would have known about the ways covenant theologians, dispensationalists and traditional orthodox types read the book. I wouldn’t know about the textual clues in the Sinai narrative and I wouldn’t be sitting here struggling in the back of my mind to figure out where the laws fit into the God’s covenant of grace. Instead, I would be walking up in the mountains, feeling secure in my own biases and prejudices and concluding that most of God’s book is useless. And though I didn’t get any clever sermon metaphors out of the book, I certainly found 10 sermons just waiting to be preached, all of them rooted in 10 ways that God spoke personally to me through the sacred first five books of our wonderful Scriptures. As I turned to run away from the man he exclaimed, “God bless you and keep up the good work.” Though I wondered at his hermeneutic (or lack thereof), I found I treasured his blessing the whole way home.